If you are looking for a fast but effective way of making sure your business is Health and Safety compliant, look no further than our brand-new suite of interactive online training courses. From first aid and display screen equipment (DSE) training to noise awareness and fire safety training, we have something to suit you. Our one-to-one, tutor led online training courses will provide you or your colleagues with the necessary skills and knowledge to contribute to health and safety within your organisation. With the ability to access the training courses on multiple devices, each individual will have the flexibility to learn at their own pace, when it’s convenient for them and the business. Start, pause and resume your training to fit around your work. 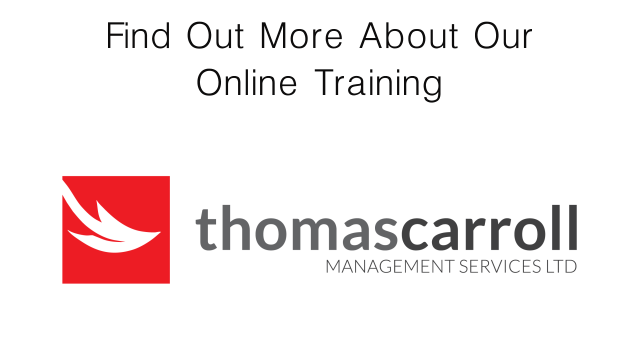 With a straightforward online system, managing the training requirements of staff is easy. At the end of the course, you will receive a certificate to demonstrate that you have successfully completed the training. Click here to browse our full suite of online training courses and trial them for free.